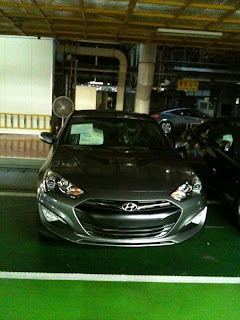 An Hyundai worker has posted spy photos of the upcoming Genesis Coupé facelift. Upfront, the reworked fascia mirrors that of the smaller Veloster and includes new headlights with daytime LED's and a ventilated bonnet. Restyled door mirrors, chrome window trim, reshaped rear LED lights and bumper complete the external makeover. Inside, a updated infotainment system and revised centre console competes the overall alterations. 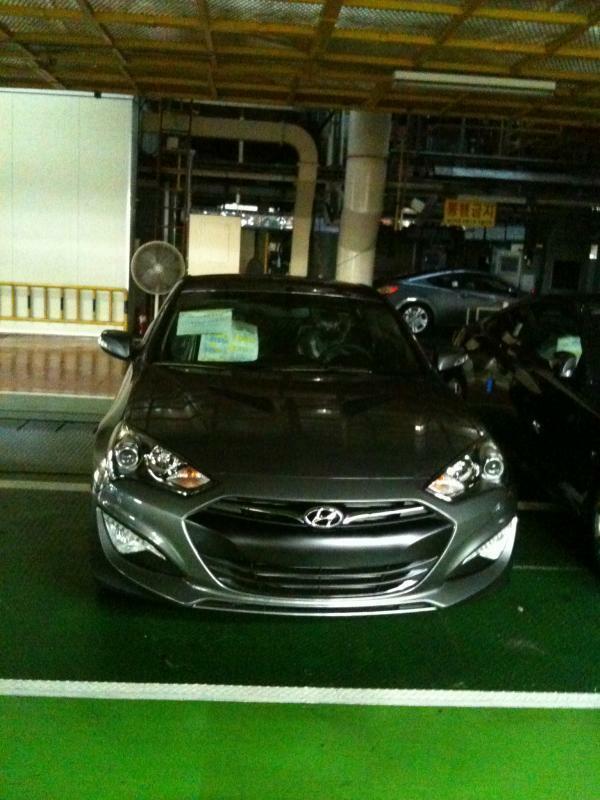 Power will come from a revised 2.0T and a 333bhp (338PS/248kW) 3.8 litre V6 with 394Nm (291lb-ft) of torque. The 2012 Genesis Coupé may bow at the North American International Auto Show.